K. Leander Williams is a freelance writer living in Brooklyn, New York. He’s been around the block a few times and has yet to tire of the scenery. Atlanta’s surreal comedy and steady stream of reality checks. The show, which capped its most compelling season last night, understands that the Cold War was driven to a large extent by the national subconscious. 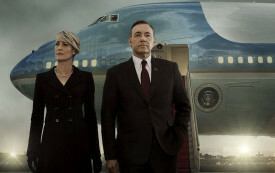 Given the absurdities of the current political season, it is worth asking why the return of the Netflix drama was so highly anticipated. Defying adversities imposed by borders has been one of Afropop's key modes of transcendence. Rising to the dare of Martial Solal's mischievous piano playing. Todd Snider has a songwriter's flair for the absurd--and he's morphed from a barroom wiseacre to a keen observer of life at the workaday fringes of Bush's America.